Progressive churches are making a big difference in their communities all across North America. These churches are serving on the front lines of the immigration battle, protecting their communities from unjust deportation. They are providing financial literacy training to people vulnerable to poverty. They are supporting families devastated by the opioid crises when they lose a loved one. They are mobilizing hundreds of people to show up at protests all across the world. These churches are making the world a more just and generous place. The problem is that many people don't know about them. That's a big problem because it's possible to think that none of our efforts really matter, that the mainstream media is only going to tell a story of a morally questionable Evangelical Christianity that seems to have no concern for families, those who are vulnerable or the white nationalism that is justifying gross abuse of our fellow humans. We can tell a different story, one where Christianity is actually making the world better. Here are just some of the churches that we think are making this world a more just and generous place! 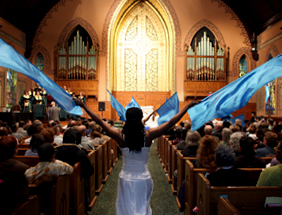 Middle Collegiate Church is a multicultural, multiethnic, intergenerational movement of Spirit and justice, powered by Revolutionary Love, with room for all. Middle Collegiate Church is the oldest of the Collegiate Churches in New York, which was organized in 1628 and is the oldest continuously active congregation in America. The Collegiate Churches of New York were the first corporation in the United States, having received a royal charter from King William III of England in 1696. Today, Middle Collegiate is pastored by Senior Pastor, Rev. Dr. Jacqui Lewis who is also the CEO of the Middle Project. The church does so many good things in the city of NY. But you definitely want to mark your calendar and attend the Revolutionary Love Conference in 2019. Countryside Community Church is the Christian member of the Tri-Faith Initiative. The Tri-Faith Initiative started with a conversation—and a somewhat mundane conversation at that. Temple Israel had outgrown their location and needed to rebuild. They hoped to find good neighbors. 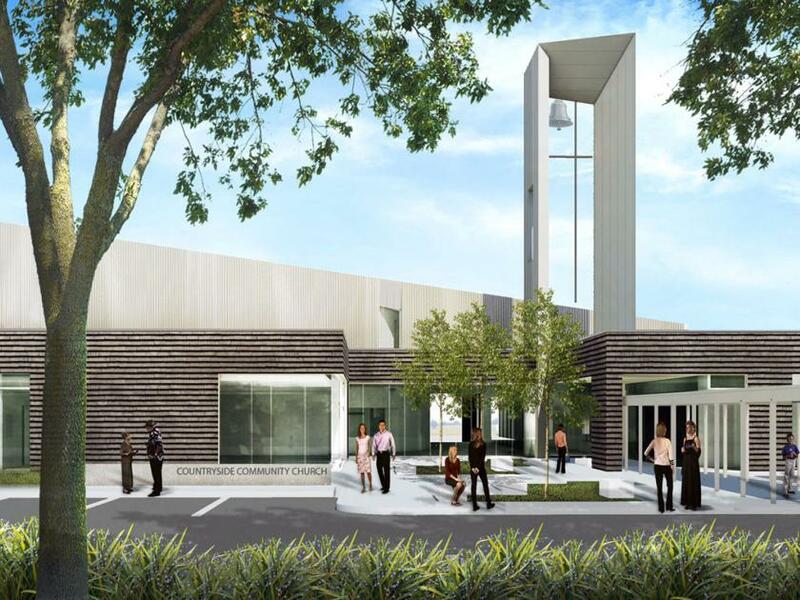 Over time an exciting vision came into focus: build an interfaith campus housing a synagogue, mosque and church. On April 12, 2015, Countryside Community Church (UCC) voted to become the leading Christian partner. You can read more about this initiative here. Started in an evangelical tradition, Christ Church Portland was kicked out after they welcomed LGBT people. Christ Church Portland is new church start committed to God’s glory & neighbor’s good. In 2015 their parent denomination, The Evangelical Covenant Church severed ties with them over LGBTQ inclusion, canceling two years of promised funding, fundraising support, and coaching. They were devastated but continued on and were able to survive that setback because of the generosity of others. Today they are one of a growing number of progressive evangelical churches who are building a more just and generous movement. You can hear more about their story here.